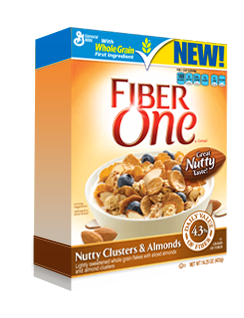 The Fiber One® Cereal That You All Love Has A New Flavor! This Cereal Has A Perfect Combination Of Crunch & Sweetness & Is A Great Way To Help Get The Fiber You Need! This Yummy Cereal Contains 11 Grams Of Fiber, 23 Grams Of Whole Grain & 180 Calories Per Serving! Print Your Coupon HERE For $1.25 Off A Box! We have yet to try this cereal! But since you say it's yummy, maybe we should!